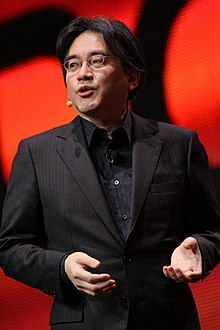 Satoru Iwata(Japanese:岩田 聡, Hepburn:Iwata Satoru, December 6, 1959 – July 11, 2015) was a Japanese video game programmer and businessman who was the fourth president and chief executive officer (CEO) of Nintendo. He is widely regarded as instrumental in broadening the appeal of video games to a wider audience by focusing on novel and entertaining games rather than top-of-the-line hardware. A game programmer is a software engineer, programmer, or computer scientist who primarily develops codebases for video games or related software, such as game development tools. Game programming has many specialized disciplines, all of which fall under the umbrella term of "game programmer". A game programmer should not be confused with a game designer, who works on game design. Computer science is the study of mathematical algorithms and processes that interact with data and that can be represented as data in the form of programs. It enables the use of algorithms to manipulate, store, and communicate digital information. A computer scientist studies the theory of computation and the practice of designing software systems. The Nintendo DS, or simply DS, is a dual-screen handheld game console developed and released by Nintendo. The device went on sale in North America on November 21, 2004. 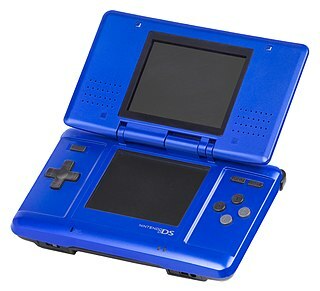 The DS, short for "Developers' System" or "Dual Screen", introduced distinctive new features to handheld gaming: two LCD screens working in tandem, a built-in microphone, and support for wireless connectivity. Both screens are encompassed within a clamshell design similar to the Game Boy Advance SP. The Nintendo DS also features the ability for multiple DS consoles to directly interact with each other over Wi-Fi within a short range without the need to connect to an existing wireless network. Alternatively, they could interact online using the now-defunct Nintendo Wi-Fi Connection service. Its main competitor was Sony's PlayStation Portable as part of the seventh generation era. It was likened to the Nintendo 64 from the 1990s, which led to several N64 ports such as Super Mario 64 DS and Diddy Kong Racing DS, among others. 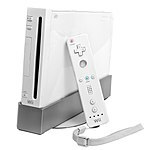 The Wii is a home video game console released by Nintendo on November 19, 2006. 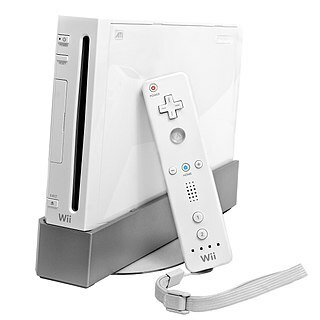 As a seventh-generation console, the Wii competed with Microsoft's Xbox 360 and Sony's PlayStation 3. Nintendo states that its console targets a broader demographic than that of the two others. As of the first quarter of 2016, the Wii led its generation over the PlayStation 3 and Xbox 360 in worldwide sales, with more than 101 million units sold; in December 2009, the console broke the sales record for a single month in the United States. The Golden Joystick Awards, also known as the People's Gaming Awards, is a video game award ceremony; it awards the best video games of the year, as voted for originally by the British general public, but can now be voted on by anyone online. As of 2016, the ceremony was in its 34th year. It is the second-oldest video game award ceremony after the Arcade Awards. The Sapporo Municipal Subway is a mostly-underground rubber-tyred metro system in Sapporo, Hokkaido, Japan. Operated by the Sapporo City Transportation Bureau, it is the only subway system on the island of Hokkaido. The HP-65 is the first magnetic card-programmable handheld calculator. Introduced by Hewlett-Packard in 1974 at an MSRP of $795, it featured nine storage registers and room for 100 keystroke instructions. It also included a magnetic card reader/writer to save and load programs. Like all Hewlett-Packard calculators of the era and most since, the HP-65 used Reverse Polish Notation (RPN) and a four-level automatic operand stack. Hokkaido Sapporo Minami High School is a high school in Chuo-ku, Sapporo, Hokkaidō, Japan, founded in 1895. It is the top high school in Hokkaido. There are approximately 1,100 students that attend the school. The Commodore PET is a line of home/personal computers produced starting in 1977 by Commodore International. A top-seller in the Canadian and United States educational markets, it was the first personal computer sold to the public and formed the basis for their entire 8-bit product line, including the Commodore 64. The first model, which was named the PET 2001, was presented to the public at the Winter Consumer Electronics Show in 1977. ↑ All totals are in JPY values of their respective years. Shigeru Miyamoto is a Japanese video game designer and producer for the video game company Nintendo, currently serving as one of its representative directors. He is best known as the creator of some of the most critically acclaimed and best-selling video games and franchises of all time, such as Mario, The Legend of Zelda, Star Fox, F-Zero, Donkey Kong and Pikmin. Gunpei Yokoi, sometimes transliterated Gumpei Yokoi, was a Japanese video game designer. He was a long-time Nintendo employee, best known as creator of the Game & Watch handheld system, inventor of the "cross" shaped Control Pad, the original designer of the Game Boy, and producer of a few long-running and critically acclaimed video game franchises, such as Metroid and Kid Icarus. Satoru Okada is the former general manager of Nintendo Research & Engineering, the division designing and developing Nintendo handheld game consoles. He is best known for creating the original Game Boy. He was also assistant producer and director of and contributor to several Nintendo games, notably Metroid, released for the Nintendo Entertainment System in 1986. Nintendo Entertainment Analysis & Development Division, commonly abbreviated as Nintendo EAD, formerly Nintendo Research & Development 4 Department, was formerly the largest software development division inside of Nintendo. It was preceded by the Creative Department, a team of designers with backgrounds in art responsible for many different tasks, to which Shigeru Miyamoto and Takashi Tezuka originally belonged. Both served as managers of the EAD studios and were credited in every game developed by the division, with varying degrees of involvement. Nintendo EAD was best known for its work on games in the Donkey Kong, Mario, The Legend of Zelda, F-Zero, Star Fox, Animal Crossing, Pikmin and Wii series. Tatsumi Kimishima is a Japanese businessman and a former president of Nintendo. He was formerly the president of Nintendo of America from January 2002, succeeding Minoru Arakawa, until Reggie Fils-Aimé took his place in May 2006. He was promoted to Managing Director of Nintendo in June 2013 and was named the fifth president of the company in September 2015, succeeding Satoru Iwata, who died in July 2015. In June 2018, Kimishima stepped down as president, being succeeded by Shuntaro Furukawa. Genius Sonority is a Japanese video game development studio, whose staff consists of programmers who have previously worked on the Dragon Quest and Pokémon series of video games. This is a list of all video games directed, produced or designed by Shigeru Miyamoto. Hired in 1977 at Nintendo Co, Ltd. by president Hiroshi Yamauchi for his toy creations, Miyamoto has played a large role in a large number of the company's games. Miyamoto has become one of the most influential video game designers of all time, having started video game franchises such as Super Mario and The Legend of Zelda. Golf is a sports-simulation video game developed and released by Nintendo in 1984 for the NES in North America and Family Computer Disk System in Japan. The golfer has been indentified as Mario in supplement materials, albiet not wearing his traditional shirt and overalls. However, the game Captain Rainbow would instead identify the golfer as Ossan which happens to be the one of the generic internal name Mario had during the development of Donkey Kong. Additionally, the Game Boy conversion of this game would feature Mario on the Western cover art, but not the Japanese version. Genyo Takeda is a retired Japanese game designer and executive who worked for the video game company Nintendo. Takeda was formerly the general manager of Nintendo's Integrated Research & Development division, and was the co-representative director and "Technology Fellow" of the company until his retirement in 2017. The history of Nintendo traces back to 1889, when it was founded to produce handmade hanafuda. Nintendo Co., Ltd. is a Japanese multinational consumer electronics company headquartered in Kyoto, Japan. It eventually became one of the most prominent figures in today's video game industry, being the world's largest video game company by revenue. A Mii is a customizable avatar used on several Nintendo video game consoles and mobile apps. Miis were first introduced on the Wii, and later appeared on the Nintendo 3DS, Wii U, Nintendo Switch and various Nintendo smart devices. Nintendo Software Planning & Development Division, commonly abbreviated as Nintendo SPD, was a research, planning and development division housed inside the Nintendo Development Center in Kyoto, Japan. The division had two departments: Software Planning & Development Department, which primarily co-produced games with external developers; and Software Development & Design Department, which primarily developed experimental and system software. The division was created during a corporate restructuring in September 2003, with the abolition of the Nintendo R&D1 and Nintendo R&D2 departments. The Japanese multinational consumer electronics company Nintendo has developed seven home video game consoles and multiple portable consoles for use with external media, as well as dedicated consoles and other hardware for their consoles. As of September 30, 2015, Nintendo has sold over 722.22 million hardware units. Nintendo Research & Engineering Department was the hardware development department responsible for developing all of Nintendo's major handheld game consoles, and its associated peripherals, from its inception in 1996 all the way to 2012, when it was disbanded. The department was under Nintendo's manufacturing division, and was lead by Satoru Okada. The department was created in 1996 following Nintendo Research & Development 1's (R&D1) general manager and Game & Watch and Game Boy creator, Gunpei Yokoi, left Nintendo. Most of the department's team originate from R&D1's hardware engineers. The Wii U is a home video game console developed by Nintendo, and the successor to the Wii. The console was released in November 2012 and was the first eighth-generation video game console, as it competed with Microsoft's Xbox One and Sony's PlayStation 4. The Wii U GamePad is the standard controller for Nintendo's Wii U video game console. Incorporating traits from tablet computers, the GamePad has traditional input methods, touchscreen controls, and motion controls. The touchscreen can be used to supplement a game by providing alternate, second screen functionality or an asymmetric view of a scenario in a game. The screen can also be used to play a game strictly on the GamePad screen, without the use of a television display. Conversely, non-gaming functions can be assigned to it as well, such as using it as a television remote. The Nintendo 2DS is a handheld game console produced by Nintendo. Announced in August 2013, the device was released in North America, Europe and Australia on October 12, 2013. The Nintendo 2DS is an entry-level version of the Nintendo 3DS which maintains otherwise identical hardware, similar functionality, and compatibility with software designed for the Nintendo DS and 3DS. However, the 2DS is differentiated by a new slate form factor rather than the clamshell design used by its precursors and by lacking the Nintendo 3DS's signature autostereoscopic 3D display. The 2DS is sold concurrently with existing 3DS models as an incentive to expand the market for Nintendo 3DS games; Nintendo of America president Reggie Fils-Aimé stated that the 2DS was primarily targeted towards younger players, whom Nintendo had previously advised not to use the 3D functionality on the 3DS due to potential eye health concerns. 1 2 Boxer, Steve (July 14, 2015). "Satoru Iwata obituary". The Guardian . Guardian Media Group. Archived from the original on July 15, 2015. Retrieved July 14, 2015. 1 2 3 Martens, Todd (July 12, 2015). "Nintendo's Satoru Iwata dies at 55; under him, Wii created hordes of new gamers". Los Angeles Times . Tribune Publishing. Archived from the original on July 14, 2015. Retrieved July 12, 2015. 1 2 3 Inoue 2009, p. 56. ↑ Kasai 1994, chpt. 4. 1 2 3 4 5 Inoue 2009, p. 57. 1 2 Takenaka, Kiyoshi (December 9, 2008). "Satoru Iwata – the man behind Nintendo's casual gaming boom". news.com.au . News Limited. Archived from the original on October 7, 2013. Retrieved March 27, 2012. 1 2 3 4 5 6 7 Stanton, Rich; Stuart, Keith (July 13, 2015). "Satoru Iwata changed the whole games industry and now leaves it in mourning". The Guardian . Guardian Media Group . Retrieved July 26, 2015. 1 2 3 4 5 Andersen, John (October 9, 2015). "A former mentor recalls the early career of Satoru Iwata". Gamasutra . UBM plc. Archived from the original on October 11, 2015. Retrieved October 11, 2015. 1 2 3 Wong, Tessa; Chen, Heather (July 13, 2015). "Satoru Iwata: Nintendo's gamer CEO". BBC . Retrieved July 31, 2015. 1 2 3 4 5 "岩田聡氏を悼んで" [Mourning Mr. Satoru Iwata] (in Japanese). Tokyo Institute of Technology. August 4, 2015. Retrieved October 8, 2015. ↑ Bagnall 2011, chpt. 15. 1 2 3 4 5 6 7 8 9 10 11 12 13 14 15 16 Robinson, Martin (July 13, 2015). "Satoru Iwata: a gentle revolutionary". Eurogamer . Gamer Network. Retrieved July 17, 2015. 1 2 3 Szczepaniak, John. "Before They Were Famous". Retro Gamer . No. 35. Imagine Publishing. p. 76. 1 2 3 4 Inoue 2009, p. 58. 1 2 3 4 5 Burns, James (July 16, 2004). "Profile: Satoru Iwata". IGN . Ziff Davis. p. 1. Retrieved July 19, 2015. 1 2 3 "Satoru Iwata – 1999 Developer Interview". Used Games. 1999. Retrieved July 13, 2016. ↑ Nakago, Toshihiko; Tezuka, Takashi (November 13, 2009). "New Super Mario Bros.: Volume 2" (Interview). Iwata Asks. Interviewed by Satoru Iwata. Nintendo. Retrieved November 22, 2013. ↑ Iwata, Satoru (October 5, 2006). "Special Edition Interview: Turning the Tables: Asking Iwata" (Interview). Iwata Asks. Interviewed by Yasuhiro Nagata. Nintendo. Retrieved November 22, 2013. ↑ Nakamura, Toshi (July 22, 2015). "Smash Bros. Creator Remembers Satoru Iwata". Kotaku . Gawker Media . Retrieved July 26, 2015. 1 2 Morimoto, Shigeki; Ishihara, Tsunekazu (September 4, 2009). "Pokémon HeartGold Version & SoulSilver Version: Just Being President Was A Waste!" (Interview). Iwata Asks. Interviewed by Satoru Iwata. Nintendo. Retrieved July 12, 2015. ↑ Wawro, Alex (December 30, 2015). "Pokemon chief: Iwata was the one who brought Pokemon to the West". Gamasutra . Retrieved December 30, 2015. ↑ Burns, James (July 16, 2004). "Profile: Satoru Iwata". IGN . Ziff Davis. p. 2. Retrieved July 19, 2015. ↑ "Yamauchi Retires". IGN . Ziff Davis. May 24, 2002. Retrieved July 19, 2015. ↑ Thomas, Lucas M. (May 24, 2012). "Hiroshi Yamauchi: Nintendo's Legendary President". IGN . Ziff Davis . Retrieved July 19, 2015. 1 2 Kageyama, Yuri (July 12, 2015). "Nintendo President Satoru Iwata Dies of Tumor". Associated Press. Archived from the original on August 1, 2015. Retrieved July 12, 2015. 1 2 Stack, Liam (July 13, 2015). "Satoru Iwata, Nintendo Chief Executive, dies at 55". New York Times . The New York Times Company . Retrieved July 13, 2015. 1 2 Inoue 2009, p. 77. 1 2 3 4 Burns, James (July 16, 2004). "Profile: Satoru Iwata". IGN . Ziff Davis. p. 3. Retrieved July 19, 2015. 1 2 Inoue 2009, pp. 83–85. ↑ 2003 Annual Report (PDF) (Report). Nintendo. 2003. p. 72. Retrieved September 14, 2015. 1 2 Annual Report 2014 for the fiscal year ended March 31, 2014 (PDF) (Report). Nintendo. 2014. p. 1. Retrieved September 3, 2015. 1 2 Inoue 2009, pp. 27–31. 1 2 "Nintendo DS going wireless?". GameSpot . CBS Interactive. March 1, 2004. Archived from the original on July 27, 2015. Retrieved July 27, 2015. 1 2 3 4 Reimer, Jeremy (March 28, 2007). "Nintendo boss levels up to "top 30 CEO"". Ars Technica . Condé Nast. Archived from the original on December 1, 2012. Retrieved July 12, 2015. 1 2 "Consolidated Sales Transition by Region" (PDF). Nintendo. October 29, 2014. Retrieved July 26, 2015. ↑ Schreier, John (January 4, 2011). "Nintendo DS Line Outsells Playstation 2, Nintendo Says". Wired . Condé Nast . Retrieved July 26, 2015. 1 2 Inoue 2009, pp. 17–18. 1 2 Iwata, Satoru (October 31, 2008). "Corporate Management Policy Briefing/Semi-Annual Financial Results Briefing". Nintendo. p. 6. Retrieved September 3, 2015. 1 2 3 Metzger, Pete (April 5, 2009). "Review: Nintendo DSi offers evolutionary, not revolutionary, upgrade over DS Lite". The Los Angeles Times . Tribune Publishing . Retrieved September 11, 2015. ↑ Rojas, Peter (February 20, 2006). "The Engadget Interview: Reggie Fils-Aime, Executive Vice President of Sales and Marketing for Nintendo". Engadget . AOL . Retrieved September 11, 2015. 1 2 3 Iwata, Satoru (November 17, 2010). "Nintendo DSi: Turning the Tables: Asking Iwata" (Interview). Iwata Asks. Interviewed by Yasuhiro Nagata. Nintendo. Retrieved September 3, 2015. ↑ Nelson, Randy (January 9, 2009). "Iwata still sees vast market for current DS hardware". Engadget . AOL . Retrieved September 11, 2015. ↑ Martin, Matt (January 9, 2009). "More room for DS growth, says Iwata". GamesIndustry.biz. Gamer Network. Retrieved September 11, 2015. 1 2 Kamen, Matt (July 13, 2015). "Satoru Iwata: Nintendo's late legend, in his own words". Wired . Condé Nast . Retrieved September 2, 2015. 1 2 Inoue 2009, p. 37. 1 2 Hasegawa 2010, pp. 50–51. 1 2 Jones & Thiruvathukal 2012, p. 28. 1 2 Jones & Thiruvathukal 2012, p. 53. 1 2 Hasegawa 2010, p. 51. 1 2 Kohler, Chris (July 12, 2015). "Nintendo President Satoru Iwata Dies at 55". Wired . Condé Nast . Retrieved July 12, 2015. 1 2 3 4 Peckman, Matt (July 13, 2015). "Why Nintendo President Satoru Iwata Mattered". Time . Time Inc. Retrieved July 13, 2015. 1 2 3 2009 Annual Financial Report: Financial Section (PDF) (Report). Nintendo. 2009. p. 17. Retrieved September 3, 2015. ↑ "The best CEOs". Barron's . Dow Jones & Company. March 11, 2010. Retrieved July 12, 2015. (Subscription required (help)). 1 2 3 4 Morris, Chris (August 19, 2015). "Is Nintendo backing away from its Quality of Life initiative?". Fortune . Time Inc. Retrieved September 9, 2015. ↑ Miyamoto, Shigeru (November 8, 2007). "Wii Fit: A New Creation" (Interview). Iwata Asks. Interviewed by Satoru Iwata. Nintendo. Retrieved September 9, 2015. ↑ Pearson, Dan (June 2, 2009). 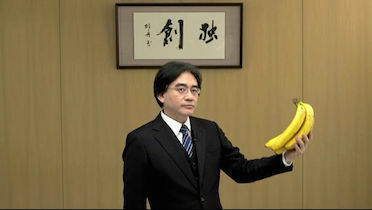 "E3: Iwata shows Wii Vitality Sensor". Eurogamer . Gamer Network. Retrieved September 8, 2015. 1 2 3 "The 73rd Annual General Meeting of Shareholders: Q&A". Nintendo. 2013. p. 3. Retrieved September 8, 2015. ↑ Takahashi, Dean (June 4, 2009). "Nintendo CEO: Wii care about your heartbeat, but not your iPhone, the recession or free games". VentureBeat . Retrieved September 8, 2015. ↑ Haywald, Justin (January 29, 2014). "Mario Kart 8 coming in May and Nintendo reveals 2014 strategy". GameSpot . CBS Interactive . Retrieved September 9, 2015. ↑ Iwata, Satoru (2014). "Message from the President". Nintendo. Archived from the original on September 10, 2015. Retrieved September 9, 2015. ↑ Crossley, Rob (October 30, 2014). "Nintendo Reveals First Quality-of-Life Product: A Sleep Sensor". GameSpot . CBS Interactive . Retrieved September 9, 2015. ↑ Kohler, Chris (February 4, 2016). "Nintendo Puts Its Sleep-Tracking Gizmo on Hold Indefinitely". Wired . Condé Nast . Retrieved February 4, 2016. ↑ 2006 Annual Financial Report (PDF) (Report). Nintendo. 2006. p. 15. Retrieved September 3, 2015. ↑ 2007 Annual Financial Report: Consolidated Financial Statements (PDF) (Report). Nintendo. April 26, 2007. p. 1. Retrieved September 3, 2015. ↑ 2008 Annual Financial Report: Financial Section (PDF) (Report). Nintendo. 2008. p. 15. Retrieved September 3, 2015. ↑ 2010 Annual Financial Report: Financial Section (PDF) (Report). Nintendo. 2010. p. 17. Retrieved September 2, 2015. ↑ 2011 Annual Financial Report: Financial Section (PDF) (Report). Nintendo. 2011. p. 17. Retrieved September 3, 2015. 1 2 Financial Results Briefing for the Nine-Month Period Ended December 2011 (PDF) (Report). Nintendo. January 27, 2012. p. 1. Retrieved September 2, 2015. ↑ 2013 Annual Financial Report (PDF) (Report). Nintendo. 2011. p. 21. Retrieved September 3, 2015. 1 2 3 4 Annual Report 2015 for the fiscal year ended March 31, 2015 (PDF) (Report). Nintendo. 2015. p. 1. Retrieved September 2, 2015. 1 2 3 Luckerson, Victor (May 7, 2015). "Why Nintendo is Suddenly Profitable Again". Time . Time Inc. Retrieved July 21, 2015. 1 2 Peckham, Matt (March 18, 2015). "Exclusive: Inside Nintendo's Bold Plan to Stay Vibrant for the Next 125 Years". Time . Time Inc. Retrieved July 21, 2015. ↑ Osawa, Juro (January 10, 2011). "Nintendo's chief defends 3DS". Wall Street Journal . Dow Jones & Company . Retrieved September 3, 2015. ↑ Sawa, Kazuyo (July 29, 2011). "Nintendo stock rout costs Yamauchi $300 million in one day". Bloomberg L.P. Bloomberg News . Retrieved September 2, 2015. ↑ Olivarez-Giles, Nathan (July 28, 2011). "Nintendo 3DS price dropping to $170". Los Angeles Times . Tribune Publishing . Retrieved September 3, 2015. ↑ "Nintendo suffers ahead of Wii U launch". The Telegraph . Telegraph Media Group. October 24, 2012. Retrieved September 3, 2015. 1 2 Negishi, Mayumi; Kachi, Hiroyuki; Sherr, Ian (January 17, 2014). "Nintendo sees loss on dismal Wii U sales". Wall Street Journal . Dow Jones & Company . Retrieved September 3, 2015. 1 2 Amano, Takashi; Yasu, Mariko (January 21, 2014). "Nintendo's Iwata under dire after missing Wii U forecast". Bloomberg L.P. Bloomberg News . Retrieved September 3, 2015. ↑ Ewalt, David M. (September 13, 2012). "Nintendo Reveals Wii U Launch Date, Price, Details". Forbes . Forbes Inc. Retrieved September 3, 2015. ↑ Orland, Kyle (October 25, 2012). "Why Nintendo is losing money on each Wii U launch unit". Ars Technica . Condé Nast . Retrieved September 3, 2015. ↑ Sinclair, Brendan (July 5, 2013). "Miyamoto: We underestimated cost of HD development". GamesIndustry.biz. Gamer Network. Retrieved September 8, 2015. ↑ Handrahan, Matthew (June 17, 2013). "Iwata: "We don't care about what other companies are doing"". GamesIndustry.biz. Gamer Network. Retrieved September 8, 2015. ↑ Tassi, Paul (July 8, 2013). "Miyamoto Admits Nintendo Underestimated the Switch to HD". Forbes . Forbes Inc. Retrieved September 8, 2015. ↑ Morris, Chris (June 23, 2015). "Shigeru Miyamoto: Why the Wii U crashed and burned". Fortune . Time Inc. Retrieved September 3, 2015. ↑ Makuch, Eddie (October 31, 2013). "Nintendo: We have failed to establish Wii U as a "worthy" Wii successor". GameSpot . CBS Interactive . Retrieved September 3, 2015. ↑ Jenkins, David (June 29, 2010). "Nintendo boss earns $770,000 basic salary". GamesIndustry.biz. Gamer Network. Retrieved July 19, 2015. ↑ Pereira, Chris (July 29, 2011). "Iwata's Salary Cut in Half, 3DS Price Drop Explained". 1UP.com . IGN. Archived from the original on July 20, 2015. Retrieved July 19, 2015. ↑ Gaston, Martin (January 29, 2014). "Nintendo CEO slashes salary in half to apologise for Wii U losses". GameSpot . CBS Interactive . Retrieved July 19, 2015. ↑ Kain, Erik (May 2, 2012). "Nintendo Reports First Annual Loss in Three Decades, Over $500 Million in the Red". Forbes . Forbes Inc. Retrieved September 3, 2015. ↑ "Nintendo posts first loss in 30 years". The Guardian . Guardian Media Group. Associated Press. April 26, 2012. Retrieved September 3, 2015. ↑ Martin, Matt (April 24, 2013). "Iwata becomes CEO of Nintendo of America". GamesIndustry.biz. Gamer Network. Retrieved July 12, 2015. 1 2 "Notification of Death and Personnel Change of a Representative Director (President)" (PDF) (Press release). Nintendo. July 12, 2015. Archived (PDF) from the original on July 13, 2015. Retrieved July 13, 2015. ↑ Goldfarb, Andrew (April 23, 2013). "No Nintendo Press Conference at E3 2013". IGN . Ziff Davis. Archived from the original on June 11, 2015. Retrieved July 12, 2015. ↑ "Financial Results Briefing for Fiscal Year Ended March 2016". Nintendo. April 28, 2016. p. 3. Retrieved May 1, 2016. ↑ Rawson, Chris (March 4, 2010). "Nintendo not concerned about competition from Apple". Engadget . AOL . Retrieved September 3, 2015. ↑ Bosker, Bianca (July 7, 2010). "Satoru Iwata, Nintendo CEO: Apple is the 'enemy of the future'". The Huffington Post . AOL . Retrieved September 3, 2010. ↑ Thomas, Lucas M. (September 13, 2011). "Nintendo + Smartphones? Iwata Says "Absolutely Not"". IGN . Ziff Davis . Retrieved September 3, 2015. 1 2 Gilbert, Ben (March 17, 2015). "The history behind Nintendo's flip-flop on mobile gaming". Engadget . AOL . Retrieved September 3, 2015. ↑ Totilo, Stephen (August 21, 2012). "Unintimidated by Apple, Nintendo's Boss Says the World Still Needs Dedicated Gaming Handhelds". Kotaku . Gawker Media . Retrieved September 3, 2015. 1 2 "Second Quarter Financial Results Briefing for the 74th Fiscal Term Ending March 2014 – Q & A". Nintendo. 2014. Retrieved September 3, 2015. 1 2 Ozawa, Harumi (July 13, 2015). "Nintendo CEO Satoru Iwata dies of cancer at 55". Yahoo! Tech . Yahoo!. Agence France-Presse. Archived from the original on September 3, 2015. Retrieved September 2, 2015. ↑ "The man who revolutionized gaming". The Japan Times . Nifco. July 21, 2015. Retrieved September 3, 2015. ↑ Peckham, Matt (March 18, 2015). "Exclusive: Nintendo CEO Reveals Plans for Smartphones". Time . Time Inc. Retrieved July 13, 2015. ↑ Makuch, Eddie (October 30, 2013). "Nintendo explains why Mario is not on smartphones". GameSpot . CBS Interactive . Retrieved July 21, 2015. ↑ Makuch, Eddie (March 18, 2015). "Players More Important Than Money, Nintendo Pres. Says About Smartphone Deal". GameSpot . CBS Interactive . Retrieved July 21, 2015. ↑ Peckham, Matt (March 23, 2015). "8 More Fascinating Things Nintendo CEO Satoru Iwata Told Time". Time . Time Inc. Retrieved September 20, 2015. ↑ Yuji Nakamura (February 2, 2017). "Nintendo Plays With Fire". Bloomberg Business. Retrieved February 5, 2017. ↑ Ashcraft, Brian (February 15, 2017). "Satoru Iwata Put Lots Of Thought Into The Nintendo Switch, Says Miyamoto". Kotaku . Gawker Media . Retrieved March 18, 2017. 1 2 Ashcraft, Brian (June 6, 2012). "Nintendo Proves There's Nothing as Bananas as Holding ... Bananas". Kotaku . Gawker Media . Retrieved July 19, 2015. ↑ "社長が訊く リンク集" (in Japanese). Nintendo. 2015. Retrieved July 22, 2015. ↑ Iwata, Satoru (2011). "Nintendo 3DS Third Party Game Developers". Iwata Asks. Nintendo. Retrieved July 21, 2015. ↑ Leong, Bernard (August 15, 2015). "Analyse Asia 50: A tribute to Satoru Iwata & Nintendo's future with Serkan Toto". Tech In Asia. Retrieved August 25, 2015. 1 2 Walton, Mark (July 13, 2015). "Without Iwata, what does the future hold for Nintendo?". Ars Technica . Condé Nast . Retrieved July 31, 2015. ↑ Corriea, Alexa Ray (June 10, 2014). "You can import your Mii to fight in the next Super Smash Bros". Polygon . Vox Media . Retrieved July 19, 2015. ↑ Ap, Tiffany (July 13, 2015). "Fans mourn death of Nintendo President Satoru Iwata". CNN . Turner Broadcasting System . Retrieved July 19, 2015. ↑ "Nintendo's Satoru Iwata: Gamers pay tribute". BBC. July 13, 2015. Retrieved September 1, 2015. ↑ Chikushi, Yuji (2015). "Iwata-san, What is Your Favorite Game? A reporter's reflection of the late Nintendo CEO's personality". Toyo Keizai Online. Toyo Keizai. Archived from the original on August 16, 2015. Retrieved August 15, 2015. ↑ Morimoto, Shigeki; Ishihara, Tsunekazu (September 4, 2009). "Pokémon HeartGold Version & SoulSilver Version: Just Making the Last Train" (Interview). Iwata Asks. Interviewed by Satoru Iwata. Nintendo. Retrieved July 12, 2015. ↑ Iwata, Satoru (September 10, 2007). "Reminiscence of the IT Manager". 1101.com (Interview) (in English and Japanese). Interviewed by Shigesato Itoi. Hobo Nikkan Itoi Shinbun. p. 11. Retrieved July 16, 2015. 1 2 Casamassina, Matt (March 10, 2005). "GDC 2005: Iwata Keynote Transcript". IGN . Ziff Davis . Retrieved August 15, 2015. Staff (July 13, 2015). "Video: Satoru Iwata's 'Heart Of A Gamer' keynote at GDC 2005". Gamasutra . UBM plc . Retrieved July 13, 2016. 1 2 Kreps, Daniel (July 13, 2015). "Satoru Iwata, President and CEO of Nintendo, Dead at 55". Rolling Stone . Wenner Media . Retrieved July 13, 2015. ↑ Parkin, Simon (July 13, 2015). "Postscript: Satoru Iwata (1959–2015)". The New Yorker . Condé Nast . Retrieved July 13, 2015. ↑ Morris, Chris (September 11, 2015). "Pokémon leads Nintendo's mobile charge". NBC News . Retrieved September 11, 2015. ↑ Kurtenbach, Elaine (September 11, 2015). "Pokemon Go for iOS, Android devices will allow players to bring 'pocket monsters' into the real world". Financial Post. Postmedia Network. Associated Press . Retrieved September 11, 2015. ↑ Makuch, Eddie (June 5, 2014). "Nintendo President Not Coming to E3 on Doctor's Advice". GameSpot . CBS Interactive . Retrieved July 18, 2015. ↑ Iwata, Satoru (June 24, 2014). To our shareholders. The 74th Annual General Meeting of Shareholders (Memo). Nintendo. Retrieved July 18, 2015. ↑ Martin, Liam (October 29, 2014). "Nintendo President Satoru Iwata returns to work after surgery". Digital Spy . Hearst Corporation . Retrieved July 18, 2015. ↑ Crossley, Rob (November 6, 2014). "Nintendo's Iwata Addresses Concerns Over Rapid Weight Loss". GameSpot . CBS Interactive . Retrieved July 18, 2015. ↑ Iwata, Satoru [@Nintendo] (June 12, 2015). "[岩田]私は、昨年６月に病気で手術をした影響で少しスリムになりました。退院後、体重はほとんど変わっておらず、この体型が維持できそうですので、公式Miiを現状に合わせることにしました。よろしくお願いします。#Iwatter" (Tweet) (in Japanese). Retrieved July 18, 2015– via Twitter. ↑ Iwata, Satoru [@Nintendo] (January 28, 2015). "[岩田] 本日、アナリストおよび投資家様を対象とした第3四半期決算説明会の開催を予定しておりましたが、昨夜より発熱がありインフルエンザの疑いがあるため、大変申し訳ございませんが開催を延期させていただくことにいたしました。変更後の日程は改めてお知らせさせていただきます。" (Tweet) (in Japanese). Retrieved July 18, 2015– via Twitter. ↑ McWhertor, Michael (July 17, 2015). "Nintendo releases Genyo Takeda's memorial address for Satoru Iwata". Polygon . Vox Media . Retrieved July 18, 2015. 1 2 McFerran, Damien (August 15, 2016). "Satoru Iwata Offered Pokémon GO Feedback From His Hospital Bed". Nintendo Life . Retrieved February 2, 2017. 1 2 Plunkett, Luke (July 12, 2015). "The Video Game Community Pays Tribute to Satoru Iwata". Kotaku . Gawker Media . Retrieved July 12, 2015. ↑ Mueller, Saira (July 13, 2015). "Gaming industry pays tribute to Nintendo CEO Satoru Iwata, dead at 55". International Business Times . IBT Media . Retrieved July 13, 2015. ↑ Bowman, John (July 13, 2015). "Nintendo fans pay tribute to Satoru Iwata". Canadian Broadcasting Corporation . Retrieved July 13, 2015. ↑ Ashcraft, Brian (July 15, 2015). "Russian Nintendo Fans Honor Satoru Iwata at the Japanese Embassy". Kotaku . Gawker Media . Retrieved July 19, 2015. ↑ Totilo, Stephen (July 16, 2015). "Satoru Iwata Memorial at the Nintendo World Store in NYC". Kotaku . Gawker Media . Retrieved July 19, 2015. ↑ Yoshida, Shuhei [@yosp] (July 12, 2015). "ゲーム業界の発展に多大な貢献をされた岩田さんのご冥福をお祈りします。" (Tweet) (in Japanese) – via Twitter. ↑ Masuda, Junichi [@Junichi_Masuda] (July 12, 2015). "任天堂の岩田社長が逝去されました。ポケモンの理解者であり、素晴らしいリーダーでした。先日お会いした時はお元気だったのに。。心よりご冥福をお祈り致します" (Tweet) (in Japanese) – via Twitter. ↑ Farokhmanesh, Megan (December 3, 2015). "Watch The Game Awards pay tribute to Satoru Iwata". Polygon . Vox Media . Retrieved December 9, 2015. ↑ Philips, Tom (December 4, 2015). "Reggie Fils-Aime pays tribute to late Nintendo president Satoru Iwata". Eurogamer . Gamer Network. Retrieved December 9, 2015. ↑ Sola, Katie (July 13, 2015). "As the world mourns CEO Iwata's passing, a rainbow rises over Nintendo headquarters". The Huffington Post . AOL . Retrieved July 14, 2015. ↑ Molloy, Mark (July 13, 2015). "Satoru Iwata: Rainbow 'road' appears above Nintendo HQ after CEO's death". The Telegraph . Telegraph Media Group . Retrieved July 14, 2015. ↑ Mochizuki, Takashi (July 17, 2015). "Fans remember Nintendo President Iwata at funeral". Wall Street Journal . Dow Jones & Company . Retrieved July 17, 2015. ↑ Schreier, Jason (July 17, 2015). "Thousands Attend Two-Day Funeral for Satoru Iwata". Kotaku . Gawker Media . Retrieved July 17, 2015. ↑ Crecente, Brian (July 17, 2015). "Thousands attend Iwata's funeral in Kyoto". Polygon . Vox Media . Retrieved July 17, 2015. ↑ Nakamura, Toshi (July 30, 2015). "Smash Bros. 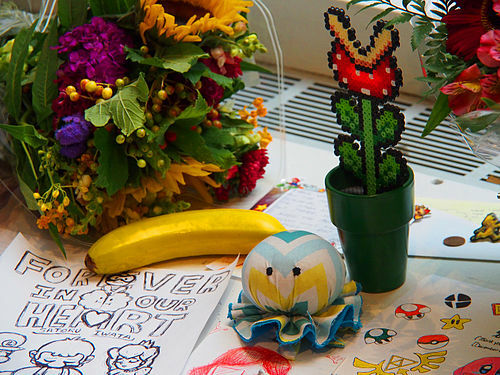 Creator Talks of Satoru Iwata's Funeral". Kotaku . Gawker Media . Retrieved July 31, 2015. ↑ Riley, Charles (July 12, 2015). "Nintendo President Satoru Iwata dies at 55". CNNMoney . Time Warner . Retrieved July 15, 2015. ↑ "Notice Regarding Personnel Change of a Representative Director and Role Changes of Directors" (PDF) (Press release). Nintendo. September 14, 2015. Archived from the original (PDF) on September 14, 2015. Retrieved September 14, 2015. 1 2 Hiranand, Ravi (July 13, 2015). "Nintendo's CEO Satoru Iwata played by his own rules". CNN . Turner Broadcasting System . Retrieved September 2, 2015. ↑ Rundle, Michael (July 13, 2015). "Nintendo President Satoru Iwata dies at 55". Wired . Condé Nast . Retrieved September 2, 2015. ↑ Tane, Kiyoshi (August 8, 2015). "追悼・岩田聡氏。ゲームで辿る天才プログラマの軌跡 (1. 初期ファミコン編)". Engadget Japan (in Japanese). AOL . Retrieved October 8, 2015. ↑ Kohler, Chris (July 16, 2015). "Thanks to Nintendo's Satoru Iwata, We're All Gamers Now". Wired . Condé Nast . Retrieved July 31, 2015. ↑ Molina, Bret (July 13, 2015). "Nintendo CEO Satoru Iwata dies at 55". USA Today . Gannett Company . Retrieved September 2, 2015. ↑ Hussein, Tamoor (October 5, 2015). "One-of-a-Kind Satoru Iwata Memorial Amiibo on Sale to Raise Money for Charity". GameSpot . CBS Interactive . Retrieved October 8, 2015. ↑ Skipper, Ben (October 9, 2015). "Nintendo: Satoru Iwata Amiibo figure raises $1,900 for charity on eBay". International Business Times . IBT Media . Retrieved October 9, 2015. ↑ Sheridan, Connor (October 30, 2015). "Satoru Iwata receives the Lifetime Achievement Award at the Golden Joysticks". GamesRadar . Future plc . Retrieved October 30, 2015. ↑ Philips, Tom (January 13, 2016). "Satoru Iwata to be honoured with posthumous DICE Lifetime Achievement Award". Eurogamer . Retrieved January 13, 2016. ↑ Campbell, Colin (February 18, 2016). "DICE honors Satoru Iwata with Lifetime Achievement Award". Polygon . Vox Media. Archived from the original on February 19, 2016. Retrieved February 19, 2016. ↑ McCormick, Rich (March 17, 2016). "Watch a touching tribute to deceased Nintendo CEO Satoru Iwata". The Verge. Retrieved March 17, 2016. ↑ Rowen, Nic (April 11, 2016). "A touching Iwata tribute is in Star Fox Zero". Destructoid . Retrieved April 11, 2016. ↑ Sheridan, Connor (April 11, 2016). "Watch Star Fox Zero's lovely tribute to Satoru Iwata". GamesRadar . Future plc . Retrieved April 11, 2016. ↑ Kuchera, Ben (March 15, 2017). "Zelda: Breath of the Wild's alleged Iwata tribute is beautiful". Polygon . Vox Media . Retrieved March 18, 2017. ↑ Dayus, Oscar (March 13, 2017). "Zelda: Breath Of The Wild Easter Egg May Pay Tribute To Late Nintendo President Saturo Iwata". GameSpot . CBS . Retrieved March 18, 2017. ↑ Saed, Sherif (September 20, 2017). "The Golf game on every Nintendo Switch is actually a tribute to late Satoru Iwata". VG247 . Retrieved September 20, 2017. ↑ Frank, Allegra (December 27, 2017). "Switch's hidden Iwata tribute removed in latest update". Polygon . Retrieved December 27, 2017. ↑ Moyse, Chris (November 23, 2017). "Pokemon Ultra Sun & Moon features a nice salute to Satoru Iwata". Destructoid . Retrieved November 23, 2017. ↑ O'Conner, Alice (December 7, 2018). "The Binding Of Isaac's tribute to Satoru Iwata is sweet, for Isaac". Rock Paper Shotugun . Retrieved December 7, 2018. Kasai, Omasu (January 1994). Gēmudezainā nyūmonゲームデザイナー入門[Introduction to Game Design] (in Japanese). Tokyo, Japan: Shogakukan. ISBN 978-4-09-220205-4.